Expunging a criminal record does not change history; expunging a record means that the court orders the records of the arrest, investigation, detention and conviction in the criminal case sealed. Sealing a record means that the public cannot view or copy the record. Conviction includes a verdict or finding of guilty after trial, a plea of guilty, or a plea of nolo contendere (no contest). If an agency does not receive the expungement order, they are not required to seal their records. A government agency that has received an expungement order will respond to an inquiry as though that arrest or conviction did not occur. A person who has had records expunged may respond to an inquiry as though that arrest or conviction did not occur. The order to seal records applies only to government agencies. Other records, such as news accounts of an arrest or conviction, are not affected. More and more, companies are performing credit and background checks to assist in their decision-making process for things like home or apartment rentals, employment opportunities, financial or other accounts, and college student acceptance. Your criminal record could be preventing you from getting a job, renting an apartment, buying a car, dating, or going to college! A properly performed expungement—and yes, some people improperly perform them—can allow a person who has paid his or her debt to society to obtain access to life-bettering goods, services, and opportunities. Not all crimes are eligible for expungement, and even the ones that have many requirements that must be met to perform an expungement. For example, the statute of limitations for the crime must have expired and all court-ordered activities must be satisfied, such as required counseling completed and fines or restitution paid. Our firm can help you with expunging your record of past criminal charges once the statutes of limitation have expired and all requirements have been met. The expungement process can be complicated, requiring many steps to completion, including electronic filing of necessary paperwork and reports with the court and state agencies. A person could spend a lot of unnecessary time and frustration trying to figure out the various steps and what is required. Don’t waste your time on that process when you could have our team do it for you—and do it right—for a very small fee. In a few short weeks, your record could be cleaned! Utah continues to make headlines for its high population of prescription drug users, which results in a lot of overdoses, abuse, and metabolite DUIs, as well as increased illegally obtained and distributed prescription drugs. Reports claim that Utahns are prescribed more antidepressants, anti-anxiety medications, and pain killers than in most other states. Certainly drug dependency is a real problem. 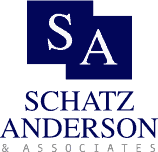 Schatz, Anderson & Associates can help people with drug problems find the help they need. Having dealt with many court-ordered treatment programs, we can recommend a facility or program for you or your loved one. Many people do not realize that their prescription drugs can render them impaired drivers, particularly when they have not taken their prescribed medications as directed or have combined them with some other substance such as any alcoholic beverage. This can result in a metabolite DUI, also called a drug DUI. Being arrested for taking your prescribed medications can really shock a person. We’ve seen it many times, particularly in the last few years as local law enforcement have become aware of the problem’s prevalence in Utah and are cracking down on it. Also, with the legalization of marijuana in California and now Colorado, Utah sees a lot of metabolite DUIs relating to the ingestion of marijuana. Another common problem in Utah is sharing or stealing prescribed medications. Routinely prescribed pain medications such as Percocet (aka Oxycodone and Acetaminophen), Demerol (aka Meperidine), Codeine, and even prescription-level Ibuprofen can cause serious, even life-threatening issues when taken by the wrong person or in the wrong way. Most people keep their medications in a place that is easy for family members and guests to access.